More than just a hand blender, this Smart Stick® does it all. Variable speeds, 700-watts of power, and premium attachments let it whisk egg whites, whip cream, chop nuts, shred cheese - and even mash potatoes! 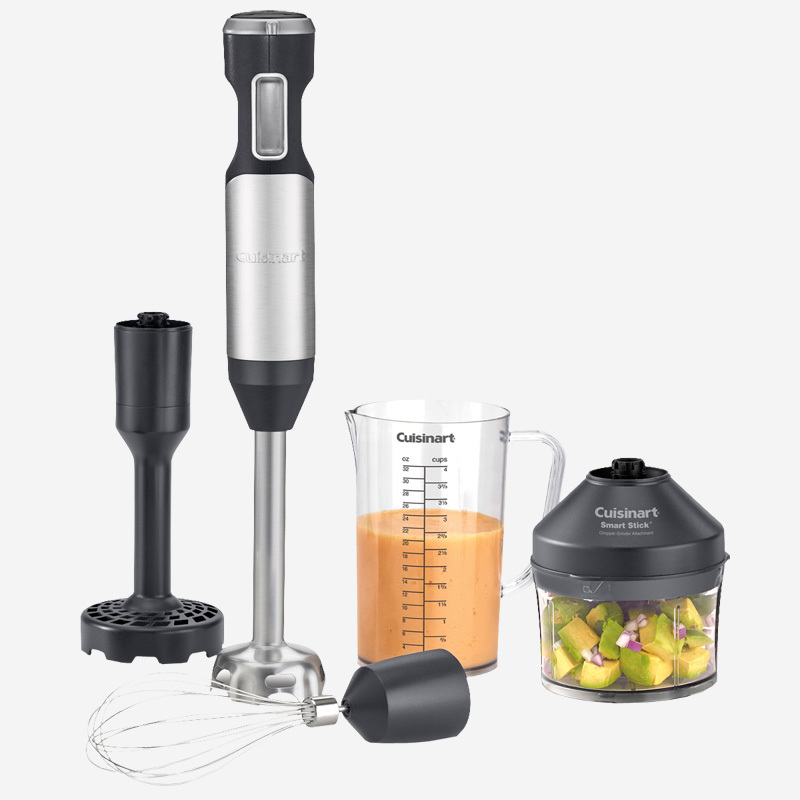 With a long, slim stainless steel shaft that reaches into bowls, pots and pitchers, a 2-cup chopper with reversible blade, a 4-cup mixing cup and a whisk, this hand blender takes versatility to a whole new level! 2.99" x 2.99" x 17.32"